As I write this, the autumn wind is blowing hard. Leaves swirl and fall. The trees and their branches creak, and sway. And yet the trees keep standing, rooted in strength and purpose. Of course, there are storms that fell and uproot the trees. But so often, it’s the trees with a compromised root system, or some sort of decay, that fall. Healthy trees, with strong wood, and deep roots, are most likely to weather the storm. As a sensitive person, I know what’s it’s like to falter and stumble in my own truth. Not so long ago, I felt consumed by a persistent cloud of other people’s opinions, swirling around me, distracting me. So many differing ideas to consider and conform to. So many rules to follow. I was pulled in too many directions. And while I stumbled around in that cloud of other people’s stuff, I somehow felt responsible for it all. Speaking up for myself, felt onerous. But of course, I am not responsible for it all. I am only responsible for myself. And when I let go of believing I’m responsible for other people’s reactions, I am free to stand in my Truth. It’s a continual process, but one I enjoy. The deepening of WHO I AM, and the letting go of all that impedes my natural flow. In my work with myself and with my clients, I can clearly see the distracting swirl that attempts to obscure the truth of who we are. I can also see the beauty of Truth, waiting, and ready to be seen. So how do we stand strong, when we feel like hiding? How do we speak up, when we doubt our own voices? How do we honor ourselves, when we’re pulled in so many directions? How do we show our true colors, even when it feels so scary? Embracing Truth is not always easy. It doesn’t happen overnight. But believe me, the experience is truly sacred. Get clear about Who You Are. Only you can know the Truth of Who You Are. Write a list of what you love about yourself, what you love to do, what you know to be true. Spend time with this list, and add to it as you need. Meditate – sit quietly, daily. It’s by sitting with yourself, that you will come to know yourself on the deepest levels possible. Practice by sitting in silence, or with meditative music, for 5-10 minutes to start. Work up to 20, 30, and 60 minutes or longer. Results are cumulative, and profound. Use Your Imagination. See yourself standing in a bubble, in the midst of a field of other people’s opinions, reactions, and worries. Next, imagine a white light (or any color you like) filling your bubble. As the light fills your bubble, allow it to wash away everything but you. See yourself standing strong, and peacefully, in a clear, clean space. Call upon this cleansing bubble as you move through your day. Practice. Experience will help you move forward. Experiment sharing your truth, and unique forms of expression, with people who support you. This could be with a friend or family member, within an online group or support group, or with a therapist or counselor. You can even practice recording yourself with your smartphone. The more you practice, the easier it will get. Get Started. What is it you want to create? So often we hold back, waiting for some sort of permission to get started. Express yourself creatively, just for the experience. This will assist you in clarifying, and expanding, your unique style. Connect With Your Intuition. 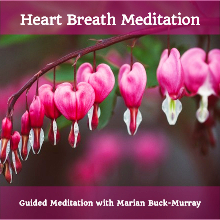 Use EFT Tapping, Meditation, and the Heartbreath Meditation to connect with yourself. It’s within this deep connection, that your intuition is strengthened. Become familiar with this space, and allow it to inform you. Take direction from your intuition, and let the rest go. Reveal your true colors, share the beauty of who you really are. 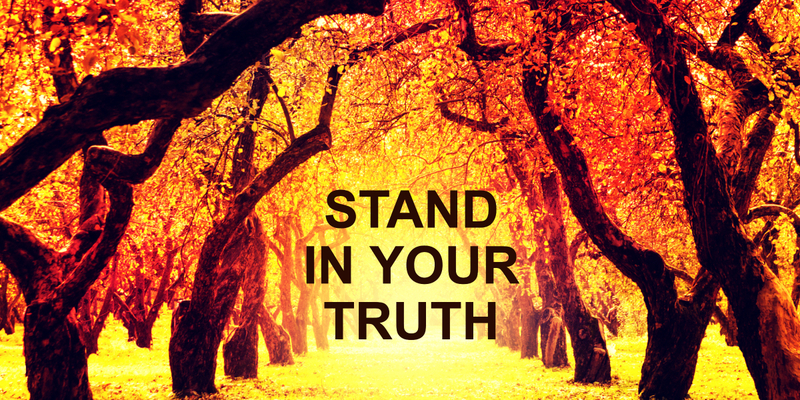 For more information on how EFT Tapping and Matrix Reimprinting will help you stand in your own powerful truth, contact me.